Geologists classify it as an “igneous intrusion. Native Americans regard the tower as sacred ground. 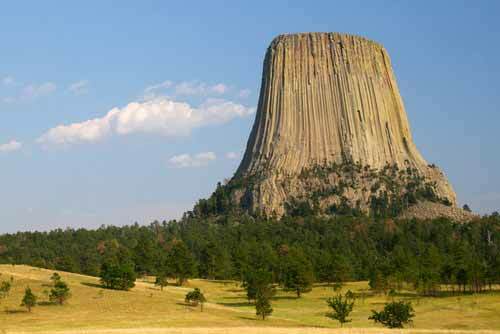 Today, the 1,267-foot formation stands as the centerpiece of Devils Tower National Monument. Confederate States of America icons Stonewall Jackson, Robert E. Lee and Jefferson Davis, along with their horses, are chiseled into the face of Stone Mountain, located just east of Atlanta, Georgia. Work on the carving began in 1916, but was abandoned in 1925. The sculptor who unexpectedly walked away from the Stone Mountain Carving, Gutzon Borglon, didn’t stay out of sight long — he began work on his signature achievement, Mount Rushmore, two years later. 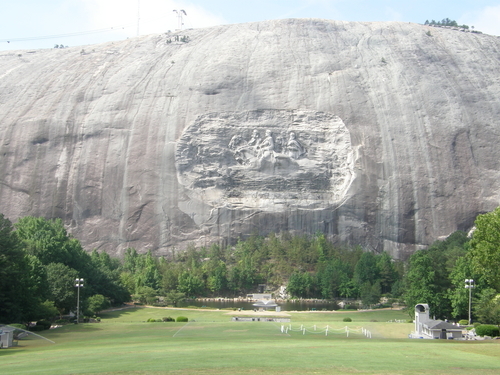 The Stone Mountain Carving was abandoned for nearly 40 years before resuming from 1963 until its completion in 1972. The carving, which is the largest bas-relief sculpture in the world, is 400 feet above the ground and measures 90 wide by 190 feet tall. 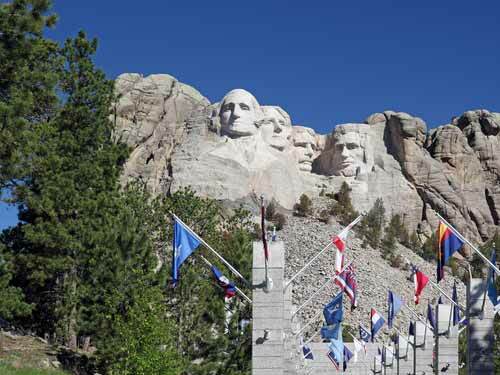 In case you’re wondering, the heads of the four presidents on Mount Rushmore measure about 60 feet tall. 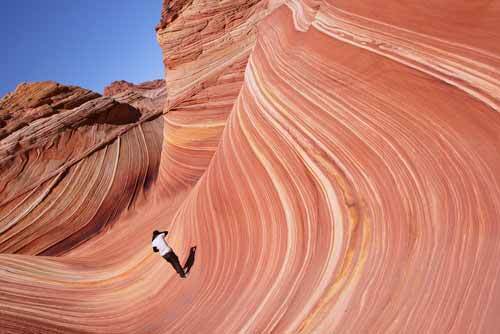 The Wave is a rock formation located on the Arizona/Utah border. Erosion through millions of years created the swirls and ridges in the sandstone that give the area such an otherworldly appearance. 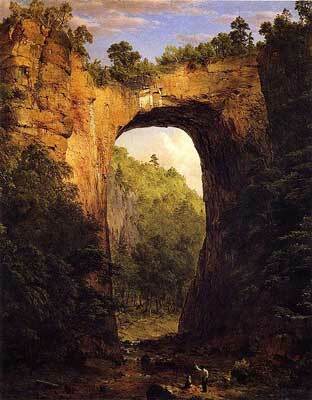 Of all the rocks on this list, this is the most difficult to visit, requiring a tough 6-mile round trip hike. Access to the Wave is limited to 20 visitors per day, and applications must be made months in advance. At the Arches National Park in Utah, the Delicate Arch stands out above the rest. 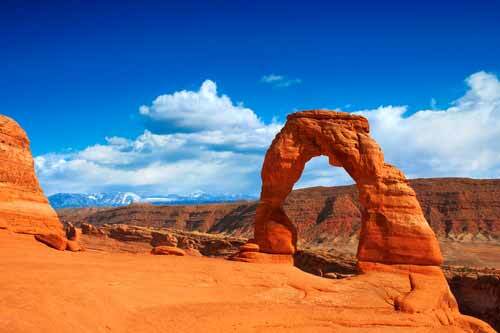 The 52-foot-high sandstone formation is the state symbol of Utah. It is a strenuous 3-mile round-trip hike. 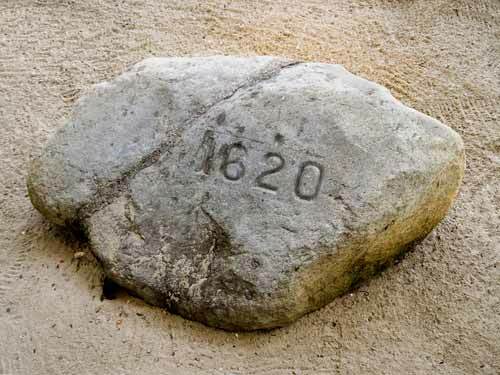 Plymouth Rock remains an important part of American heritage. The rock is a popular attraction in Plymouth, Massachusetts. Mount Rushmore was carved out of a granite mountainside in the Black Hills of South Dakota. The sculpture is of the faces of U.S. presidents George Washington, Thomas Jefferson, Theodore Roosevelt and Abraham Lincoln. Construction ceased in 1941 after 14 years when funding ran out. Air pressure is 15 lbs. per square inch. These experiments will show that air has weight, exerts pressure, and takes up space and when air expands it makes noise. 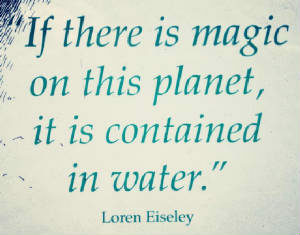 There is air in water, our bodies, and the soil and air affects many things around us. Give examples such as the rust of iron is caused by oxygen in the air. Thunder is the rapid expansion of air (and so is popping a bag or a balloon.). Air currents can be seen in smoke circulation. The air toy I use that young students like the most is a plastic arm with a little fist on the end. I open it and ask them if anything is inside. They take turns looking and all say nothing is inside. So I close it with the little fist and squeeze it and it shoots off! They learn that air takes up space and has power to move things! I wish I could find another one. Mine is almost worn out! There is also a toy that gives someone a “blast of air”! I ask kids to blow on their hand and feel the air. Though they cannot see it – it is there (invisible to them like germs). This is a good time to impress upon them that they can’t see everything – some things are so small that they are invisible! Showing currents = a smoking rope in a jar. Ask why circulation occurs. 2 wet cloths on chalkboard. Fan one of them. Air hastens evaporation. Dry hot air hastens it even more. Put a string through a straw and attach the string to opposite walls and attach a filled rocket balloon (that you can let the air out of) with tape to the straw to show jet thrust. Put a paper in a jar and lower it in water. The compressed air keeps it dry. Put water in jar with a piece of cardboard over it. Turn it upside down and see air pressure at work. Put some water on the back of your hand and blow. How does it feel? Evaporation takes heat with it. Two objects of different weight fall at = speed and shape changes air resistance. (Galileo). Try a crumpled paper and a flat paper. 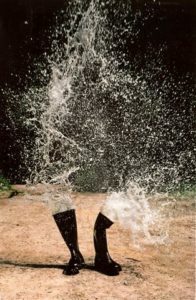 Air moves things. Try straws and ping pong balls. Name some sounds air makes. Bubble wrap makes a sound when popped. And sound is made when air moves through trees, the roar of a hurricane. Ice in a can with salt forms dew on outside. Put a balloon in the fridge. It expands when taken out. Get a solar balloon and let kids see how the warmed air in the balloon (from the heat of the sun) makes the balloon rise. Air is invisible. It is made up of gases that cannot be seen. 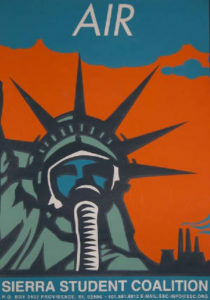 Many major air pollutants are invisible gases. 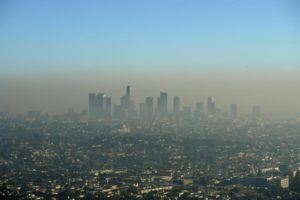 In some areas of the country, these air pollutants can build to levels where they can be seen. For example, in some cities, smoky, yellowish clouds of primarily car exhaust build up to create smog. Other easily visible air pollutants, called particulate matter, are made up of tiny particles of solids or droplets of liquids. Some of these particulates are naturally occurring and may pose less of a problem to human health than man-made particulates. Some natural particulates include pollen, wind-blown dust and volcanic ash. Man- made particulates are generated by coal and oil- fired power plants and manufacturing plants, automobile and diesel fuels as well as fireplaces and wood-burning stoves among others. Let students make stick-up collectors to see the air pollution. Cut holes in strips of poster paper and cover the holes on one side with clear tape. Put name, date, and location on each strip and select places around the school to hang them. They should hang freely and not be touched. Tell custodial staff about the experiment. After a week, retrieve the Stick Up collectors and analyze. Can students see pollution with the naked eye. Inspect the strips with a magnifying glass or microscope. Magnetism is one of the strangest things in nature! 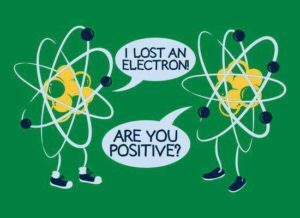 What happens is a dance of electrons! It’s believed a shepherd discovered the first magnet when a rock stuck to a nail in his sandals! A wall of magnetic stones pulled a W. Va. miners helmet off his head! Magnetite or lodestones are natural magnetic rocks found in iron deposits and they get there because a bacteria that breathes without oxygen, enjoys the dark and likes to eat iron. When they digest iron it is turned to magnetite. Many animals have cells that contain magnetite. Scientist think magnetic cells help animals (bees, tuna, dolphin and whales) find food and migrate. In certain parts of their brain we find magnetite. It may help them tell up from down. Whales have been stranded in areas of irregular magnetic fields. Humans have a small amount of magnetite lining their noses. Scientists think our noses were once like compasses! Magnets attract certain objects and produce magnetic fields which come together at the poles. 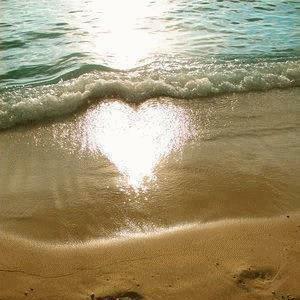 Opposite poles attract. The magnetic force is strongest at the poles and weakest at the center. The magnetic field is the lines of force around an object. Like poles repel / unlike poles attract. Pure metals have the same kind of electrons. 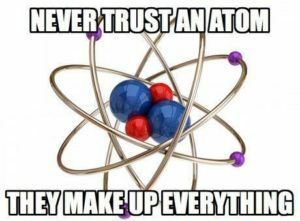 Atoms are the basic substances of the universe and the nucleus and electrons have opposite charges. Different substances have a different # of electrons circling around the nucleus. Electrons form a sort of cloud around the nucleus. Atomic particles may spin, charge in motion, and have a magnetic moment. The spinning motion makes the larger atom magnetic. Electrons may spin in the same or opposite directions. If 2 spin the same it is a strong magnet. If 2 spin in opposite directions they cancel each other and have a magnetic moment of 0. Atoms of certain elements line up in domains and have a magnetic field. Ferromagnetic – magnets such as iron, nickel, cobalt lodestone (the magnetic atoms of the same substance turn toward and away from a magnet because of a peculiar crystalline structure.) Ground up magnetite is mixed with plastics to make refrigerator magnets. Powdered ferrites coat magnetic recording tapes. Paramagnetic means having a slight magnetism such as gold, copper, aluminum and can be detected with a magnetometer. If you make an aluminum pan cold enough it will behave like an iron magnet. Diamagnetic includes silver and most others and is the natural magnetic quality of all matter – even human tissue. Human tissue responds to a strong magnetic field. 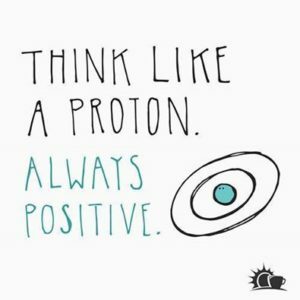 Stand next to a strong magnet, the atoms in your body repel the magnet! Temperature and magnets – If the temperature of ferromagnetic metal is raised, the magnetism disappears. The point that it loses its magnetism is called the Curie temp. If you lower the temp of rare earth metals, they become magnetic. Atoms of materials shift around in different ways. Magnetite (3 iron, 4 oxygen) is found in any good rocky area and resembles grey lumps of coal heavy for their size. Use a compass to find them. Blood hemoglobin contains iron that gives blood its red color. Hematite (rust) is a more common compound of iron. Lodestone has large crystals of magnetite and a permanent magnetism. A Chinese compass uses lodestone floated in water on a small boat. The density of magnetite is over 5. 1 cup of magnetite weighs 5 times that of a cup of water. Pure iron has a density of 8. If you freely suspend a bar magnet it lines up like a compass and always has a north and south pole. Magnetic particles line up in the same direction. Dropping or heating a magnet will damage it and cause the particles to shift positions. Magnetic transparency is the ability of a magnet to attract through non-magnetic materials. Most materials are non-magnetic. Metals attracted to a magnet are called FERROMAGNETIC like iron. Iron has the strongest attraction to a magnet. Copper, aluminum and gold have weak attractions. Magnets can be created. In 1820 Oersted discovered that electricity produces magnetism. Wherever electricity goes, magnetism follows = electromagnetism. A dry cell battery coil of wire around nail makes a temporary electromagnet. Electromagnetic waves travel through anything, even through a vacuum. Magnets are used on cranes, latches, stud finders, doors, tapes, VCRS, TVS, bells, buzzers, machines ,vacuums, speedometers, computers, credit cards, automatic tellers and in physical therapy. 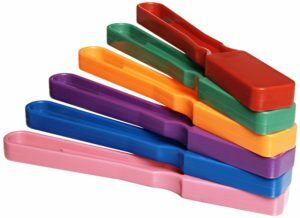 MATERIALS: Magnetic wands, small amt. of Total cereal, paper clips, 3 nails, materials for magnetic sculpture, 2 bar magnets, round magnet, horseshoe magnet, compass, balloon, salt, pepper shaker of iron filings, 3 feet of insulated copper wire, 6 volt battery, liquid crystals, rust mixed with sand. Have a ferromagnetic scavenger hunt! Test magnets through different materials. Do magnets work through water? See how many paper clips you can hang from each other. Cereal contains iron (Total works best) and you can pick up particles with a magnet. A magnet erases tape recordings. The needle of a compass is a magnet. A compass on the North Pole will spin in circles. The forces of attraction and repulsion may be strong or weak. Any moving magnetic field will produce an electrical current. Rub a balloon on hair 12 times and you can pick up salt. Horseshoe magnets work well lifting heavy objects. Because the poles are close together, they combine strengths. Magnetic field examples: Put filings in a pepper shaker and test fields by putting beneath paper a bar magnet, a round magnet and a horseshoe magnet. Bipolarity is one of the most puzzling differences between magnetism and electricity. Magnetic fields have 2 poles that cannot exist apart. If you break a magnet apart, a North and South Pole appear at the ends of the 2 pieces (like the brooms in the sorcerer’s apprentice!) The magnetic field always wraps around itself, flows into itself, and can never separate from its poles. Electricity can only travel in one direction. There is an odd relationship between electricity and magnetism. A magnetic field produces electricity. An electric current creates a magnetic field. Magnetism passes through many materials that do not conduct electricity ex. glass, plastic. When electricity passes through a wire it creates a magnetic field around the wire and you can reverse the current and reverse the poles. An MRI is magnetic resonance imaging. The machine is like a big donut and takes a picture by reading the turning of atoms in tissue. Dating with magnets = Thermo remnant magnetic dating notes the direction of the poles of magnets found in the ground. Bombs in WWII: Nazis dropped mines on bottom of rivers with inclinometers and when a ship passed over, it triggered them. The ships had to be demagnetized. Earth is the biggest magnet. We think it is from the huge electric currents deep within where molten iron surrounds a solid core of iron. The motion creates electricity. The earth’s magnetic field can change. It is believed the poles reversed at one time. In ancient clay banks magnetite needles are frozen in time and N points south. If you are close to one of the poles the needle stands on end. An inclinometer measures the angle of dip to figure out distance from pole. A magnet can cause damage to computers and tapes. Insulators are shields to protect against magnetism. 5. Mix rust and sand put in saucer and push around to pick up with magnet. 6. There are 2 kinds of compass = radial and dip. Magnetic suspension cushions objects. Mr.Farraday discovered the magnetic dynamo with a copper wire wrapped into circle and tied with 4 twist ties. Wrap free ends of wires around compass in same direction connecting the wires. Move bar magnet in and out of center and the compass needle jumps. The movement produces an alternating current. 7. Heard of levitating ladies with bar magnets! 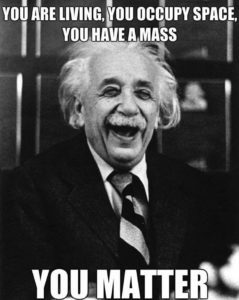 Magnetism is stronger than the force of gravity. Make a magnetic wand for tricks. Elements are Everything – Atoms, Structure and Form (Liquid, Gas, or Solid) Elements around us, in the Air and water, and in our bodies and everywhere! 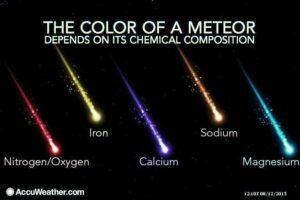 Elements are the building blocks of all matter. Everything is made up of atoms of elements and temperature changes their behavior. They tighten together and jiggle when they get cold and when they are hot they move apart quickly and jump around even jumping into the air! They can have a positive or negative electrical charge and have a center body(nucleus) that is kind of like a little bag of marbles that has different numbers of tiny bodies (electrons) spinning around it. Some are light weights and some are heavy weights! Balloons are filled with helium. It is lighter than anything in our air close to the earth and floats up into the sky. Children might be familiar with a few elements: oxygen, calcium, sulfur, potassium, magnesium, sodium, hydrogen, iron, nickel, copper, silver, gold, mercury, carbon, aluminum, chlorine, arsenic, tin, lead, iodine, krypton, neon. Show them some samples. 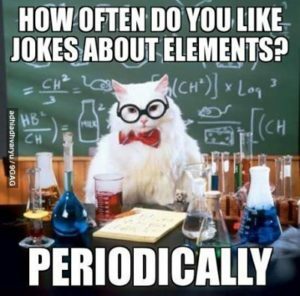 Ask children if they can name some of the elements. Elements are made of atoms that are all alike, one kind of atom, ex. oxygen. 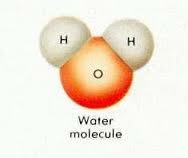 When oxygen joins to another kind of atom Hydrogen, it becomes a molecule – 2 different atoms join together to make water – H2O – the Mickey Mouse molecule made of 2 hydrogen’s and 1 oxygen. Point out some of the elements on the chart as they name a few. All of the body needs oxygen to be alive. Our lungs take in air and our red blood cells grab it from the air and carry it off to feed the cells of our body. There are more than 100 elements. Materials: Chart of Elements, Molecule of water (the “Mickey Mouse Molecule” is easy to make of paper mache). Samples of elements: silver, gold, tin, iron, copper, helium in balloon, charcoal (carbon), sulfur. Earth, body, and air charts of the elements (pie charts are easy for children to visualize. )Colored marshmallows and toothpicks to make a molecule of water. Activities: Children act out behavior of atoms. Stand close together and just jiggle (frozen). As molecules heat up they get more active. As they get cold they freeze in place and jiggle. When they melt to liquid they move sliding around. When they heat up they move fast even jumping into the air. Construct a molecule of water using the colored marshmallows. 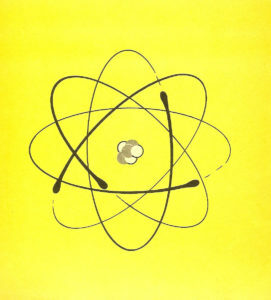 Draw simple pictures of the hydrogen atom. 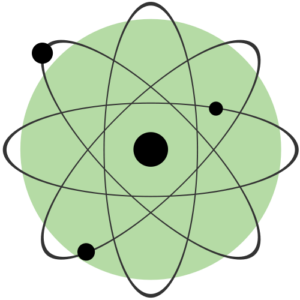 Draw a small ball and fill it in and then draw a tiny ball out from it and a circle going through it showing that the electron circles the larger body in the center (nucleus). This is a simple picture and simple science. Little Susie Snowflake was born very high above the earth where cirrus clouds occur (35,000 feet) from a tiny amount of water vapor that froze a pattern around a tiny particle of pure salt from sea spray! At first she was a plain hexagonal crystal of ice but she floated around and around attracting more water molecules and grew stubby arms. Then thin ice filled in the spaces between Susie’s arms. It was about 35 degrees below zero and she slowly grew into a simple little plate snowflake, so small she was barely visible! She fell from her high perch into a veil of snowflakes with millions of little flakes just like herself and soon landed on the top of altostratus and altocumulus clouds (25,000 feet high.) The top layer of the clouds was still very cold (20 degrees below zero.) As Susie fell through the deck of clouds it got warmer and warmer (14 degrees above zero). There was lots more water vapor and Susie grew 6 more arms with odd little decorations between them and more thin ice formed around her edges. Susie became a large beautiful plate with thickened edges and sharply pointed corners. She tossed about in the churning clouds and sank into the low stratocumulus clouds of a winter storm. There was even more water to grow on! The temperature was almost 0. She drifted downward growing 6 broad plate-like extensions at each corner. Susie reached snowflake paradise when she entered nimbostratus clouds with an abundance of water. The temperature was 10 degrees above 0 and she started to grow fast! Needlelike arms started shooting out and branching crystals grew from them until they touch and connect. She continued to branch as she fell and grew armfuls of branching crystals, extending the points and ending them with hexagonal plates. She became heavy enough in her crystal dress to leave the paradise clouds and fall to the earth. Susie Snowflake might have landed in my yard and become part of a snowman or maybe we ate her in our snow cone! 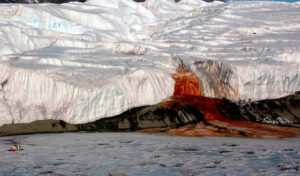 Or Susie could have been part of a glacier or maybe one of the plants in the yard drank her when she melted and she became part of the plant! Snowflake Bentley from Vermont photographed a snowflake for the first time in 1885 when he was 19 years old. Although ice crystals are clear, scattering of light by the crystal facets and imperfections make the crystals appear white in color. 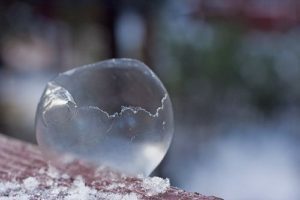 The whole spectrum of light is diffused by the small ice particles. 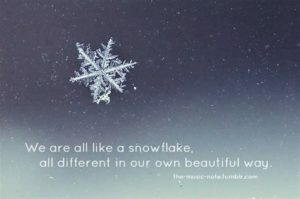 Guinness World Records list the world’s largest snowflakes as those of January 1887 in Montana. Allegedly one measured 15 inches wide. The exact details of the sticking mechanism remain controversial. Possibilities include interlocking, sintering, electrostatic attraction as well as the existence of a “sticky” liquid-like layer on the crystal surface. The individual ice crystals often have hexagonal symmetry. 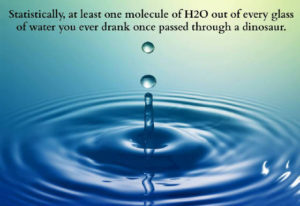 Water is the universal solvent. It is tasteless, colorless, odorless and unique. It is the only element on the earth found in all three forms – liquid, solid, and gas. Considered the universal solvent, many things dissolves in water and it flows through everything that is alive. It is unique because when it freezes it grows bigger. The most important things we must have to stay alive are oxygen from the air and water to drink. Water cycles. It evaporates into the air, condenses into clouds and precipitates out as rain, snow, sleet, hail, fog and dew. The sun is the driving force. Teach children the water cycle song. This is a good time to talk about temperature and how molecules respond. When they are cold they pack closely and jiggle. When they heat up they start to slide around melting and then begin to move faster when they get hot and jump into the air. Children enjoy acting this out. Examine pictures of clouds and lightning. Clouds are the largest electrical generators. Lightening is electrical flashes between the clouds and the earth. Thunder is made when the heat from the electrical flash makes the air expand quickly making the sound of thunder. You can illustrate this by popping a bag of air. The quick expansion of air makes the pop. Talk about safety. Lightening is dangerous and they should take cover in a safe place like a building or car during a storm. Children need to know that it is very important for them to drink water and all animals and plants are mostly made of water. We are conductors of electricity and it can be shown with the energy ball and by rubbing a balloon on someone’s hair. Materials: Hand drum, Mickey Mouse Molecule (paper mache) representing water, Hand out of the water cycle picture to color, Pictures of water, ice and clouds, water cycle chart, paper bag, misc. materials for doing other water experiments you choose. Activities: Water cycle song, Act out the effect of temperature on molecules of water. Put a drop of food coloring in a bottle of water and watch the molecules disperse. Dissolve different substances in water ex. salt or sugar. Check buoyancy of different objects in water, a magnet goes through water, light goes through water. Check surface tension by floating a paper clip on the surface of a glass of water. , check the capillary action by putting the tip of a paper towel in a glass of water. 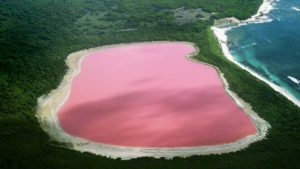 Show examples of erosion, evaporation, condensation. Show difference in density of fresh and salt water with an egg. The egg floats in salt water. A straw appears bent in water. 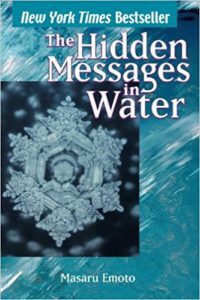 Explore the qualities of water through experiments, river books, rain sticks, and crystals. Without water we are nothing. Ice Halos, Joshua Thomas, a photographer in Red River, New Mexico, was lucky enough to catch rainbow-like arcs and pillars of light blazing over a snowy landscape last week. This is caused by the collision of light and ice crystals high in Earth’s atmosphere. Those frozen specks of water refract light in myriad ways to produce arcs, halos, and pillars of light. 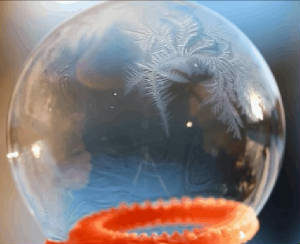 Air temperatures and the shape and arrangement of ice crystals fine-tune the phenomena that we see. In the center of the image is a bright, vertical mass called a sun pillar. Cooler air temperatures boost the brightness of these phenomena. The circle of light ringing the pillar is a 22-degree halo. These halos are fairly common and are so named because they occur at a 22-degree angle from the sun. They’re created of hexagonal ice crystals. 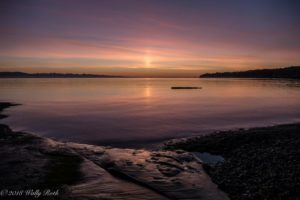 The glaring blob of light to the right of the pillar is called a sundog, the result of ice crystals that are only partly aligned with each other. Sundogs are fairly common. The delicate strands of light winging out from the top of the sun pillar are tangent arcs. They’re formed when tube-shaped hexagonal ice crystals are oriented on their sides. The halos and arcs aren’t a harbinger of dangerous weather events. Throughout the history of literature, the guy that poisons the well has been the worst of all villains. 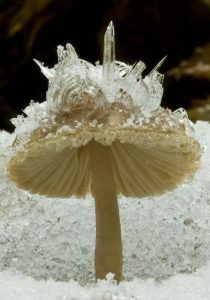 Frost Flowers – It is as beautiful as it is rare. 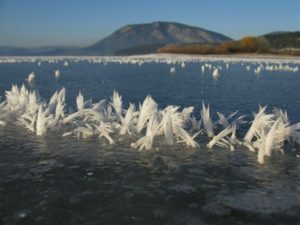 A frost flower is created on autumn or early winter mornings when ice in extremely thin layers is pushed out from the stems of plants or occasionally wood. This extrusion creates wonderful patterns that curl and fold into gorgeous frozen petioles giving this phenomenon both its name and its appearance.